The IDCTA Board of Directors has updated our Grant Program for our membership. 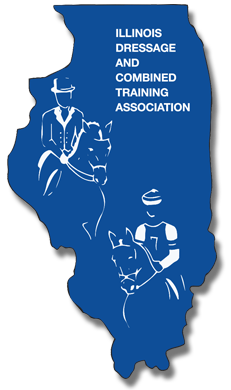 We are very excited about this program and hope that more IDCTA members begin sending in applications for upcoming clinics, whether IDCTA, USEA, USDF or USEF sanctioned. As always, the funds must be used for tuition only. IDCTA members can qualify every year. To qualify for a grant, clinics must be with trainers farther than 100 miles from the Chicagoland area. The clinics must be produced by IDCTA, USEA, USDF, USEF or must be an approved clinic. In return, IDCTA asks that the recipient of the grant write a detailed article about the clinic for the next issue of the Scribe. The article should be a minimum of one typed page and may include photographs (please provide photographer credit). Other qualifications are as follows: An applicant must be a member in good standing of IDCTA for a minimum of six months at the time the clinic is to be held. An application and copy of the clinic entry must be submitted a minimum of 60 days prior to the opening date of the clinic. This will allow the Board of Directors enough time to review and vote on the applicant’s request at the next board meeting. One grant per clinic may be awarded. Not every qualified clinic will be awarded a grant. The two main factors that will be considered when awarding grants are the following: IDCTA volunteer hours totaling a minimum of 5 in the past calendar year and each applicant’s past riding experience without regard for number of shows entered or success in the show ring. The amount funded by IDCTA per clinic is $200-$400, or the cost of the clinic tuition, whichever is less, and will be voted on by the board. The grant funds may only be used for the clinic the applicant anticipates participating in as a rider, and not an auditor. Funds may not be used for stabling, hauling or other associated expenses, other than the cost of the clinic tuition. Grant funding may vary each year depending on the amount available and number of qualified applicants, and will be awarded on a first come, first served basis. Funds not used in a given year will be rolled over to the next year. In cases where the grant recipient does not participate in the requested clinic or an article is not submitted within a month of participating in the clinic, the funds granted will not be sent out and will be reallocated back. This will allow the money to be used for another applicant. All grant applicants will be notified of the decision by phone or email after the board has voted. Checks will be mailed to the applicant only after the Scribe article has been received.